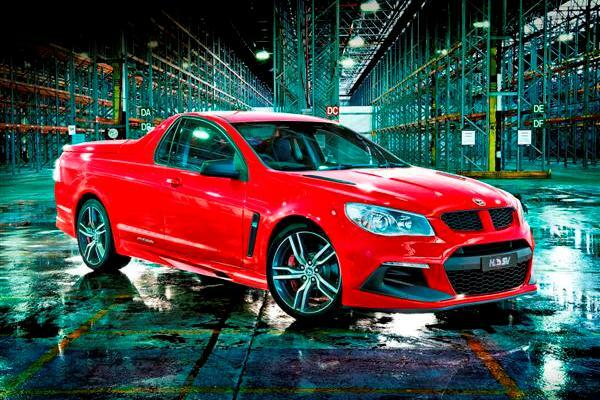 Australia’s leading performance car manufacturer, HSV, continues with its new Maloo R8 LSA now available in GEN-F2 guise. It was released around the nation in the latter part of 2015. Australia’s favourite high-performance features HSV’s 6.2 litre Supercharged LSA V8 power-plant together with a host of exterior styling enhancements. Power and torque are rated at 400kW and 671Nm, up, significantly, from the previous LS3 engine outputs of 340kW and 570Nm. The pitch black styling theme is carried through to the mirror scalps and mudguard vents while a new 20”, 5-spoke alloy wheel completes the exterior styling make-over. A new exterior colour – Slipstream, a vibrant blue, is available.